Defining a Common Goal and Value to All Employees With an assembly of talents who share the same interest and ambition to pursue a common goal of creating a business niche, BIOSTAR offers an environment that allows the optimal development of individuals in attaining self-actualization and self-recognition. It also organizes a highly motivated and aggressive elite team. With excellent product quality and genuine service, BIOSTAR has received positive response and recognition from its customers. It has stayed accurate and up-to-date with market information to keep it in line with market dynamics. 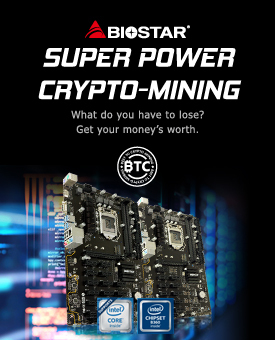 At BIOSTAR, we are committed to our customers by offering excellent product quality, providing good and genuine customer service, achieving a reasonable production cost reduction, and preventing problems by giving more benefits and competitive prices to our customers while establishing a positive, long-term relationship. We are also determined to share our profits and successes with the general public and ultimately aim to pursue a win-win situation. BIOSTAR has always operated with utmost sincerity and goodwill. Any major decision-making undergoes strict and careful assessment. Most importantly, BIOSTAR has never evaded consequences arising from these decisions. It continues to grow bigger and stronger as it adheres to its corporate mission of maintaining stable operation.